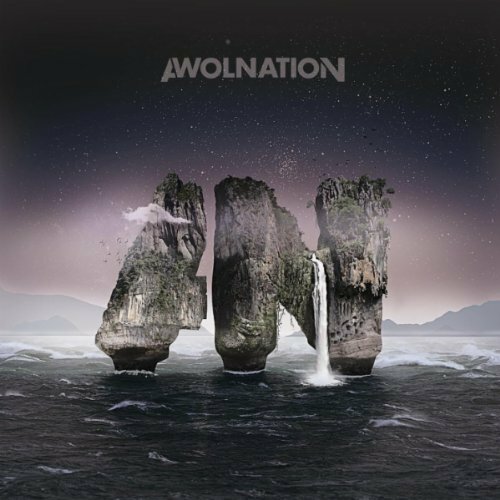 Awolnation is a high energy band that dabbles in neo-punk and electronica but ultimately makes well crafted songs with big hooks. It is difficult not to like a band that is so upbeat sounding as Awolnation. Their first album Megalithic Symphony is already gaining them a healthy fan base. The songs on the album are very beat driven and carry a big arena-rock quality. There is no shortage of synths to contribute to the electronica sound of the album but the starts and stops never let the tracks ever dip into a total rave-style jam. The album starts with a couple intro songs before blasting into a string of pure power-pop. The songs “Soul Wars,” “People,” “Jump On My Shoulders” and “Burn It Down” set the bar high for the rest of the record. The songs reach an almost punk quality at times but never get too hard to sing along to. Lead singer Aaron Bruno’s vocals match the music perfectly as he has the rare ability to sound good as he shouts out lyrics. He also shows off his vocal range throughout the album, often bouncing back and forth within the individual songs. The record doesn’t dip in tempo ironically until the lead single “Sail” at track number ten. The entire tone changes after the slower but still intense “Sail.” The songs turn much more into dance tracks after that. Awolnation doesn’t deliver this style quite as well as the first 2/3 of the album. The album is a breathe of fresh air among many stale sounding new bands. If the last few songs were dropped from the record it would be an excellent piece of work overall but it still shines as what is sure to be one of the best debut albums of the year. This entry was posted in 250 word album reviews and tagged 250 word album review, Aaron Bruno, Awolnation. Bookmark the permalink.